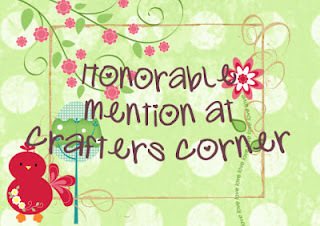 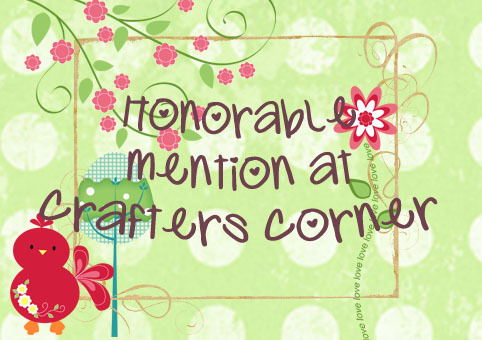 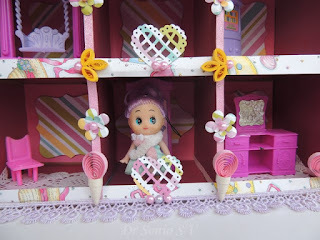 I am very lucky to have my mom stay in the flat next to ours and though I am "old and a big girl", I tend to rush to her with the slightest worry or problem .Also every evening my daughter gets to spend 2 hours at her grandma's place[that's my blogging time! 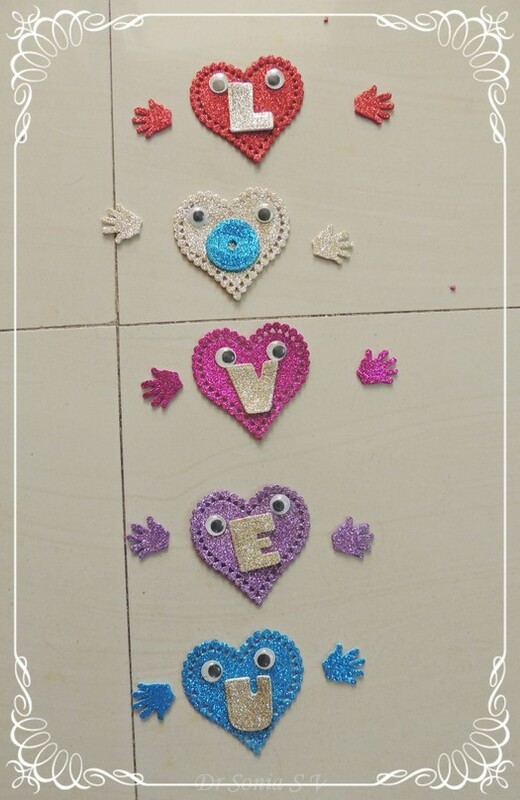 ]Recently my mom went on a religious pilgrimage and we missed her so much!As a "we love u" welcome back present we made these Foam Hearts. 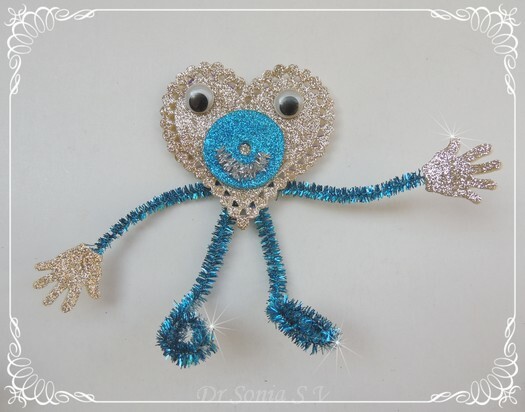 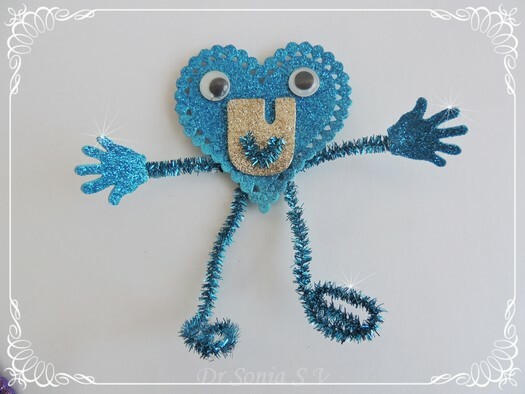 These hearts were inspired by these heart crafts and we used glitter foam sheets, glittery pipe stem cleaners,googly eyes,foam punches,dies and magnets to make our Huggy Heart Magnets. 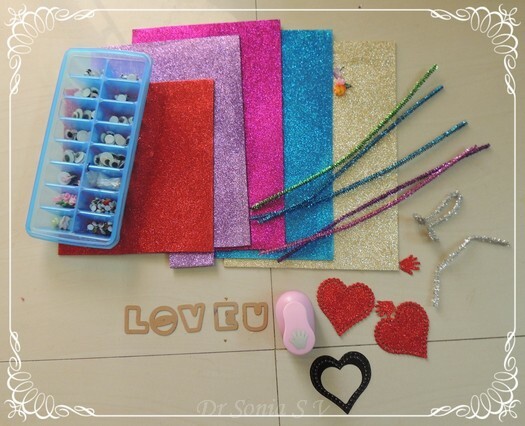 I die cut the hearts and letters for my daughter though she is adept at using the big shot as you can see in this post on Ocean crafts.But she punched the foam hands on her own using her new foam punch[If you have a child crafter buy lever type medium sized punches as they are so much easier for little hands]. 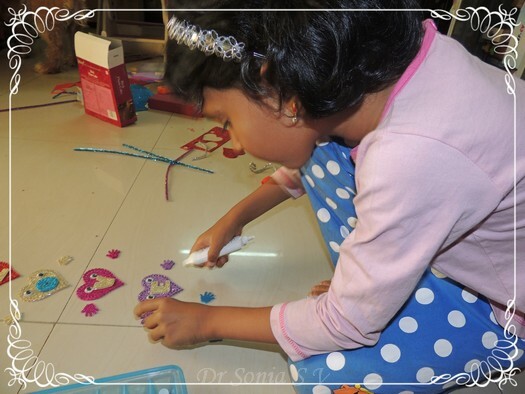 My 6 year old crafter is quite knowledgeable about adhesives now and she said "Amma can we use glue dots? 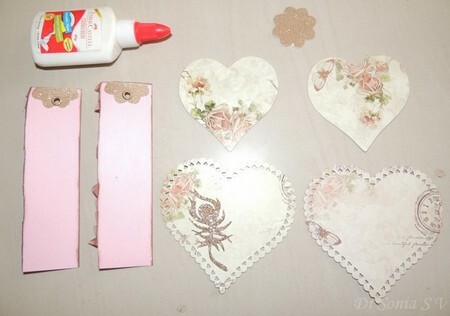 "Using the glue dots her heart faces were all done in 10 minutes! 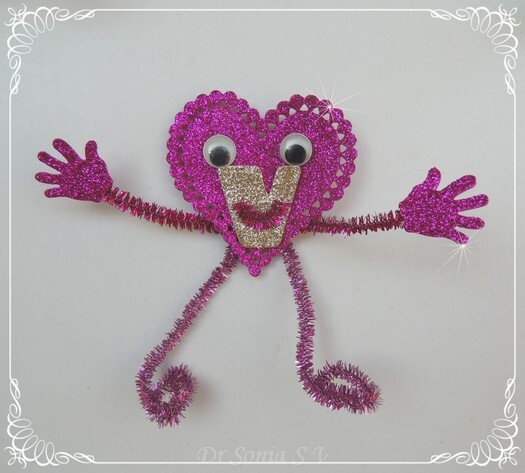 We tried pipe stem cleaner bodies and I was thrilled that she was able to twist and turn the chenille stem sticks herself! 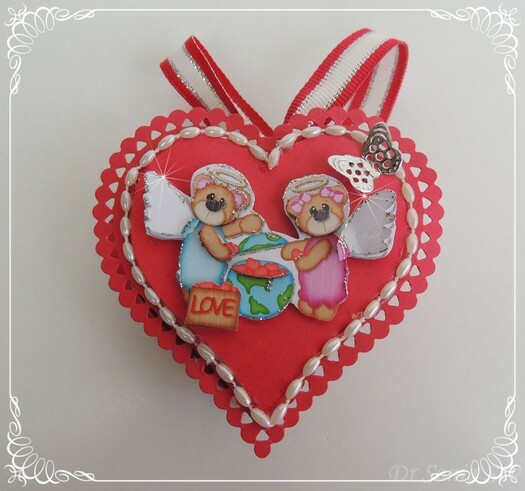 And here is our first Huggy Heart using foam crafts. 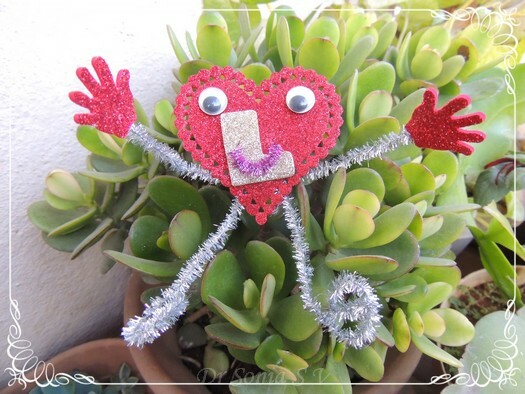 My daughter had fun taking her foam heart people all over our house and here on our balcony is Mr L Foam heart man. 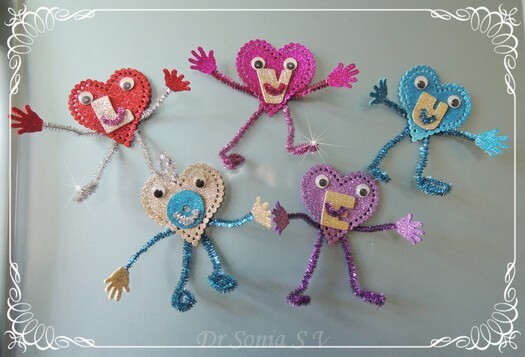 I glued magnets on the heart people and Kuttu placed them on her grandma's fridge as a welcome home "Love U" Banner! 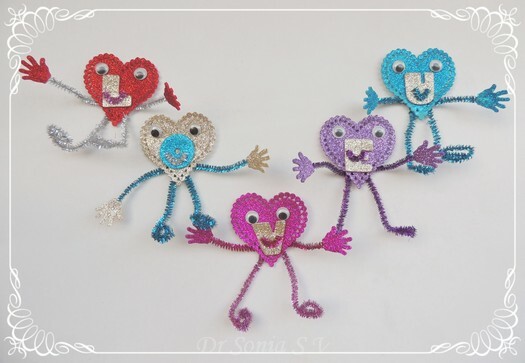 My mom came home last night and on being greeted by these Huggy Hearts, I dont know who was the happiest one -me ,her or my little daughter ! 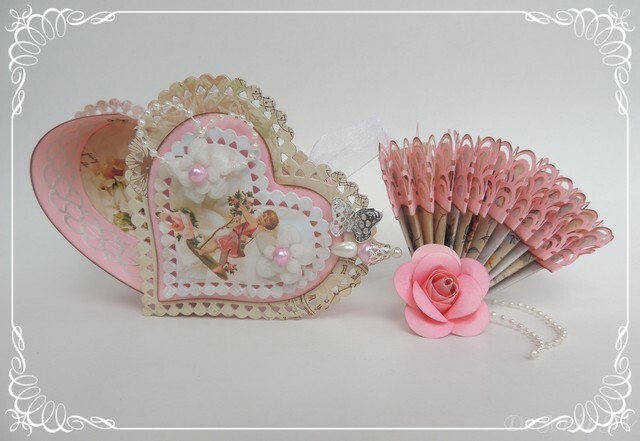 I guess we can celebrate Valentine's Day and Mothers Day all year long! 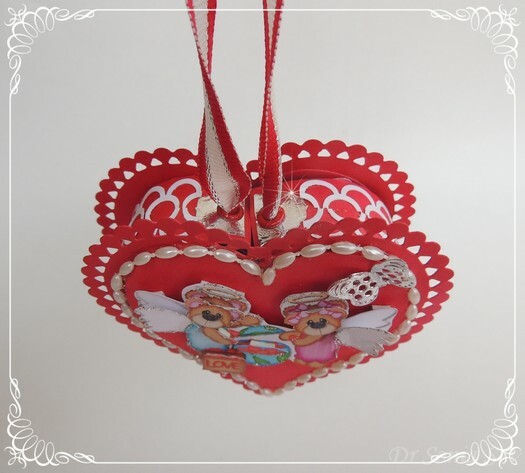 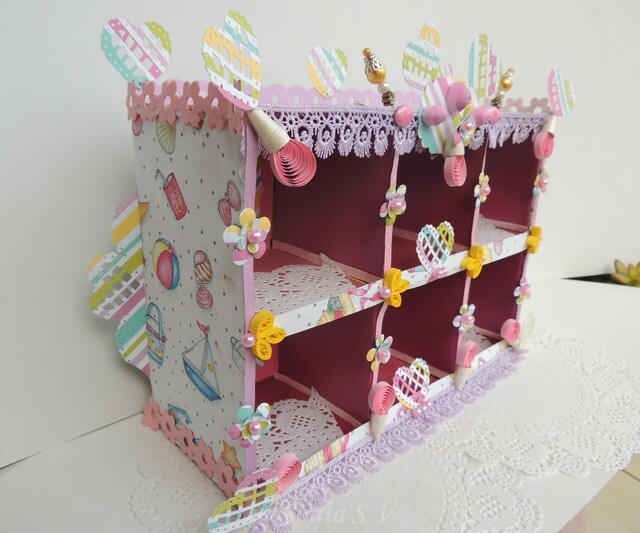 Dear friends I am overwhelmed at the response to my heart shaped swinging box..I never imagined you would like it so much!That shabby chic style heart box was not my usual style and my little 6 year old critique even told me "how dull it looks"! 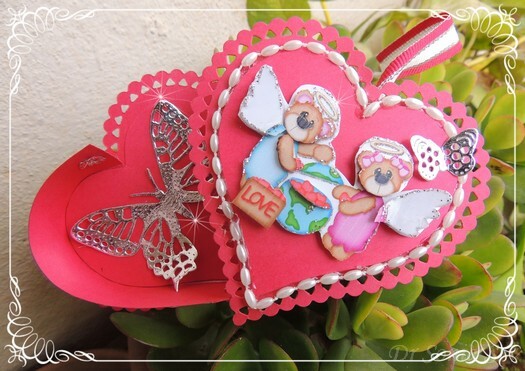 I printed and cut several bear angels [images are a winnings from Nikki]and made a 3 D decoupage using foam tape.Added silver glitter on the angel bears to make them sparkle! 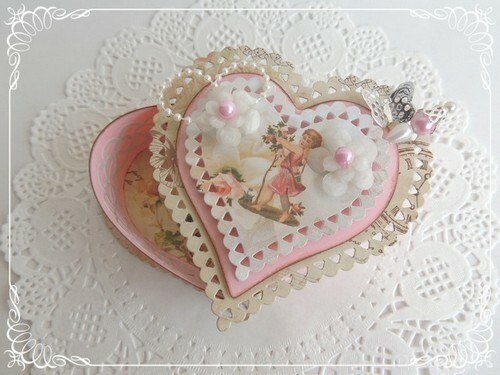 On releasing the ribbon the box swings to reveal a silver butterfly[Cheery Lynn die cut] inside the heart shaped box. 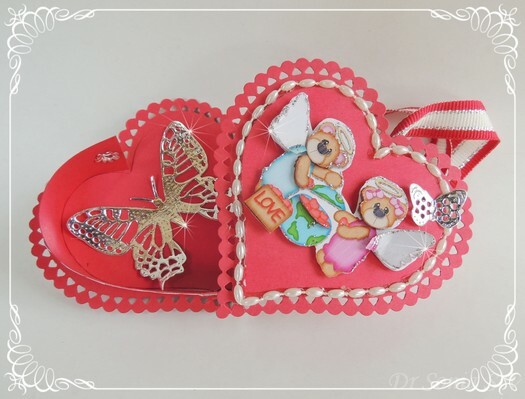 Many of you commented on the earlier heart shaped box that it looked like a tough project.Once you read the tutorial and try it you will realize its actually easy and entirely doable! 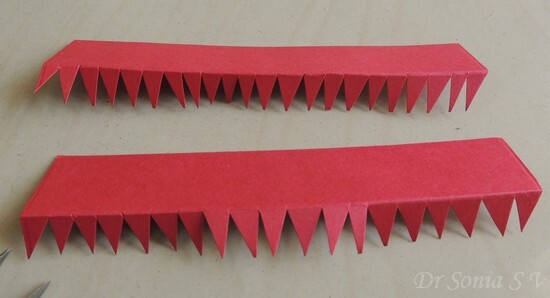 Scoring tool -use a bone folder/used ball point pen/blunt knife to score and get a crisp fold. 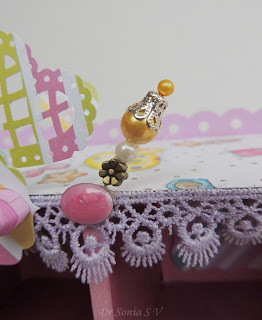 Fancy optional tools: Glue tape,eyelets,Single hole punch, Dies + cutting machine and a scoring board. 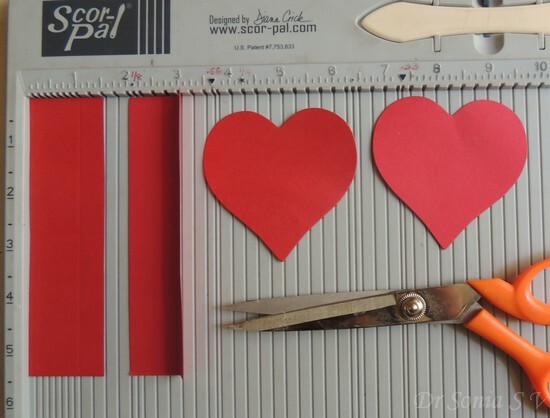 You need to cut 4 hearts:Hand cut using a heart shaped template or die cut like I did.You can make all 4 hearts the same size or 2 larger than the other 2. 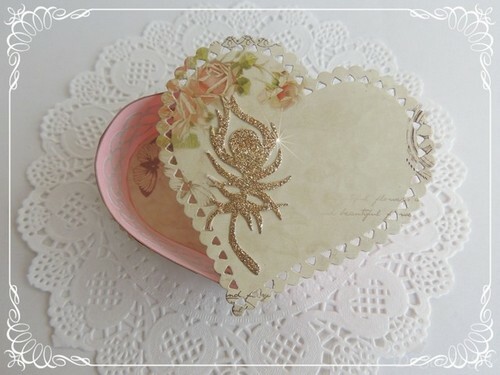 My 2 base hearts are around 3 inches and the outer scallop hearts are slightly bigger. 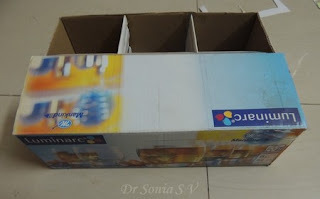 Take 2 card strips and fold up a 0.5 inch strip lengthwise.For this box the strips are 1.5 inches wide and 5.5 inches long.The length will depend on you heart size so keep it long and cut short as required.If you want a box with more depth so as to add fan fold tags like in my first heart box use a card strip 2 inches wide. 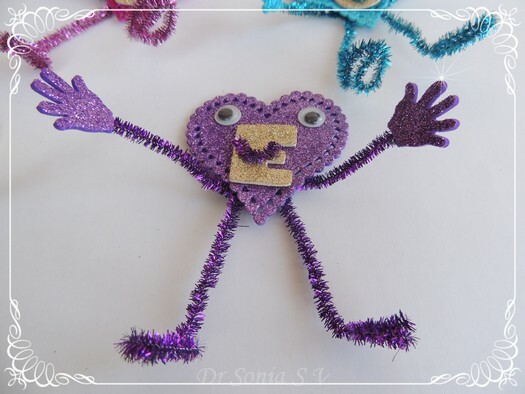 Apply white glue or stick a double sided tape on the zig zag teeth and stick the teeth on the under surface of a heart starting from the top as shown in the handmade box tutorial. 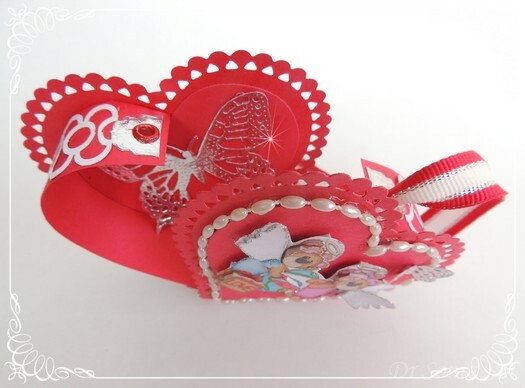 You can decorate the inner part of the card strip and add a brad before you stick the strip or do it later.Stick the strip till the tip of the heart. 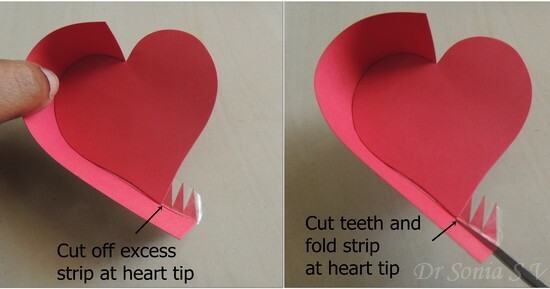 Cut off the excess card at the tip of the heart box half in one half.Repeat step 4 and make another heart box half but this time chop off just the zig zag teeth jutting from the tip and cut leaving 1 inch of card strip beyond the tip of the heart box.Score and fold this card strip at the tip of the heart box. 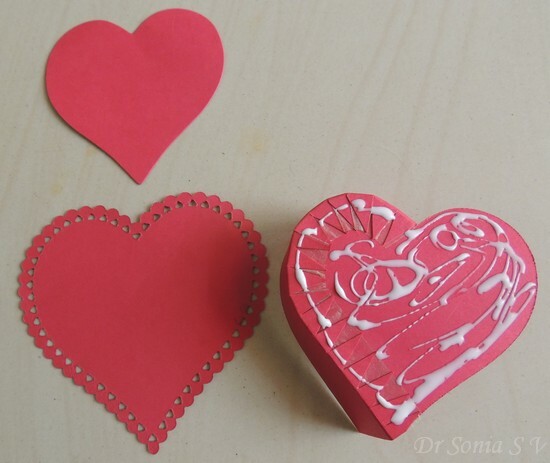 Stick a same size / large heart on the other side of the box to hide the zig zag teeth .This can also be done later after completing the swinging heart box. 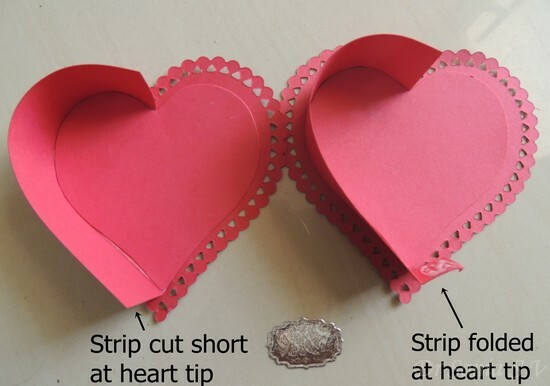 So you have 2 halves of your swinging heart box [made in step 5]which look the same except for the card strip flap on the tip of one half of the heart box. 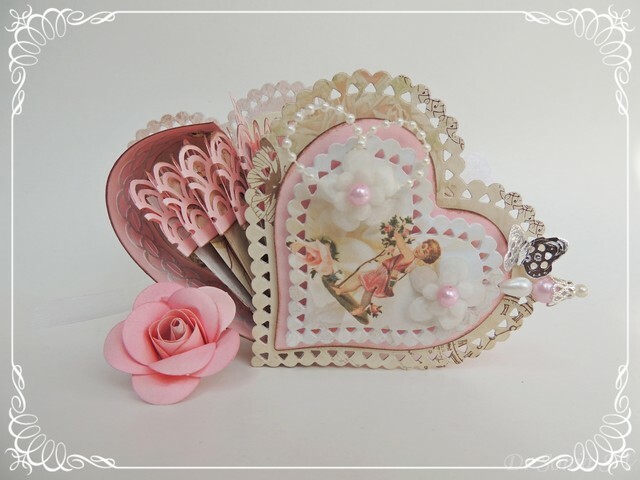 Stick this flap to the other half of the heart box aligning the tips as shown and you've made a swinging heart shaped box! 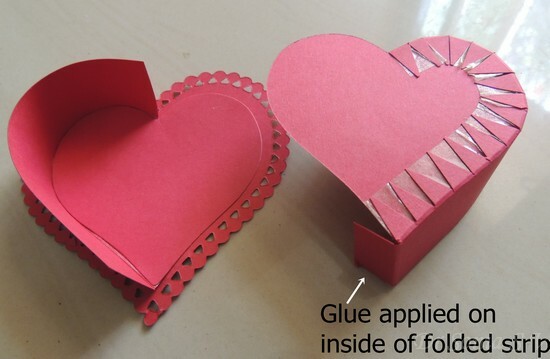 To give more strength to the hinge of the box ,add an extra piece of card stock at the tip of the heart box. 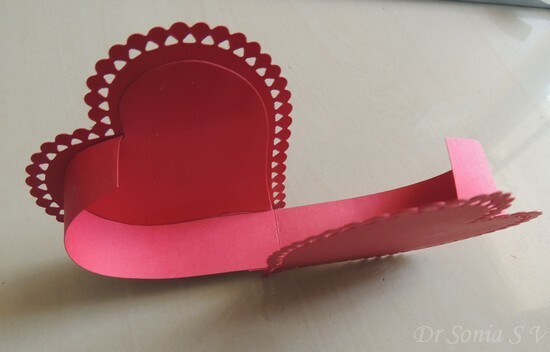 You can punch holes and add eyelets on the hinge if you want to secure your fan fold tags like I did in the first heart shaped box. 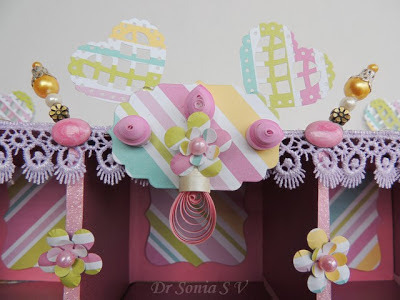 I have no photos of how I made the fan fold tags..they are easy but if anyone wants me to do a tutorial on the accordion fan fold tags do tell me in the comments. 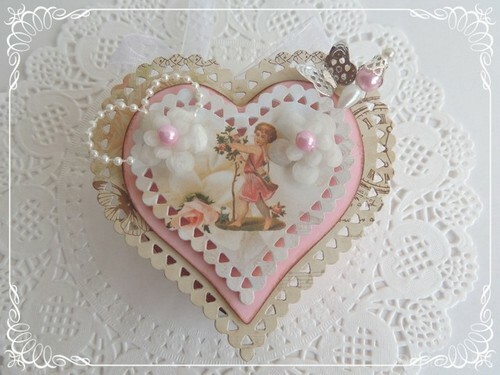 Dear friends I am not a big romantic but thoroughly enjoyed making this downright romantic heart shaped box. 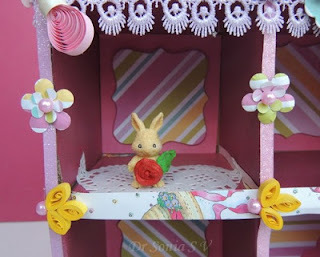 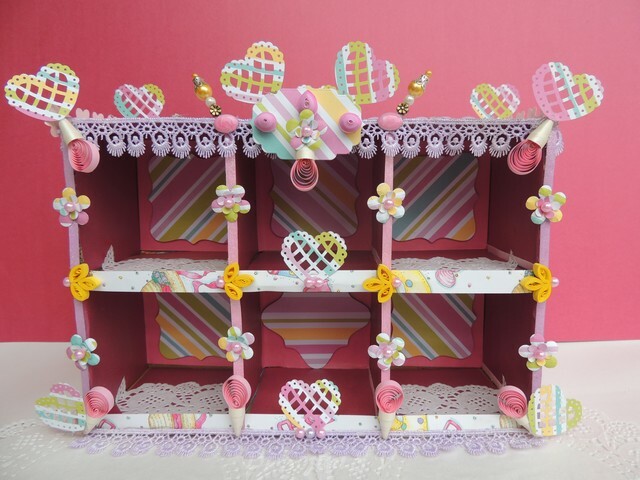 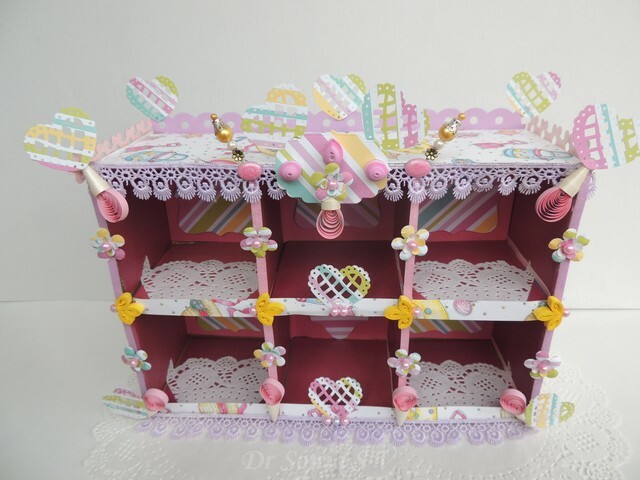 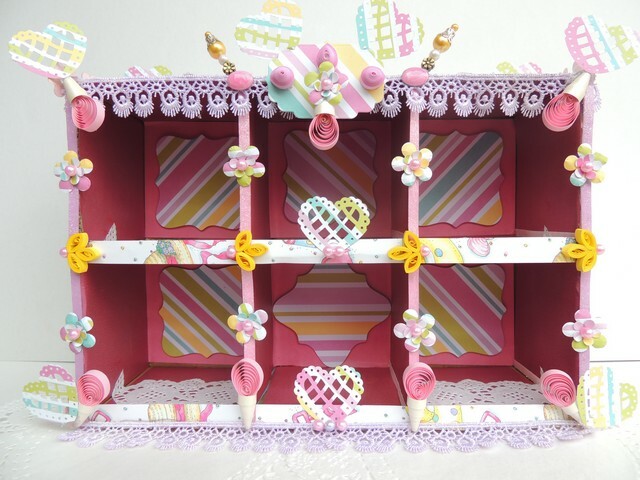 You can add some candy or handmade flowers inside the heart shaped box. 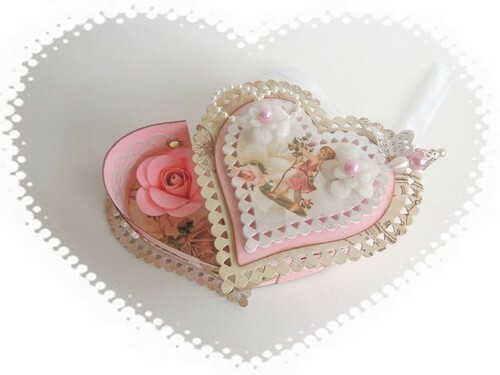 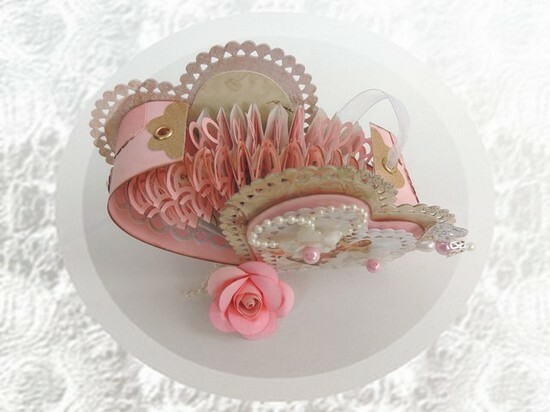 The box halves are held in place with shimmery ribbon threaded through brads on top of each half of the shaped box. 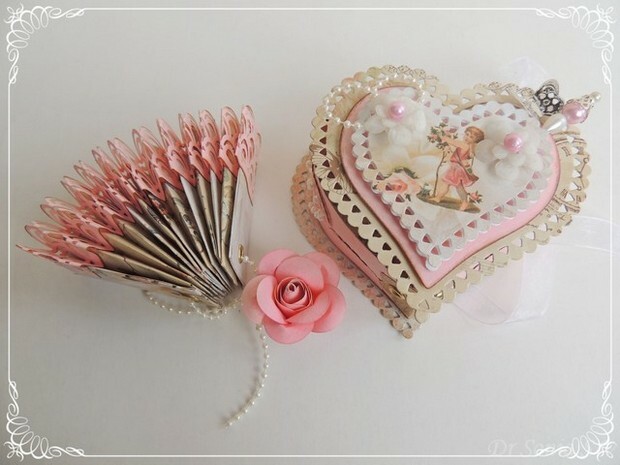 Added a golden glittery peacock feather on the bottom of this handmade gift box. 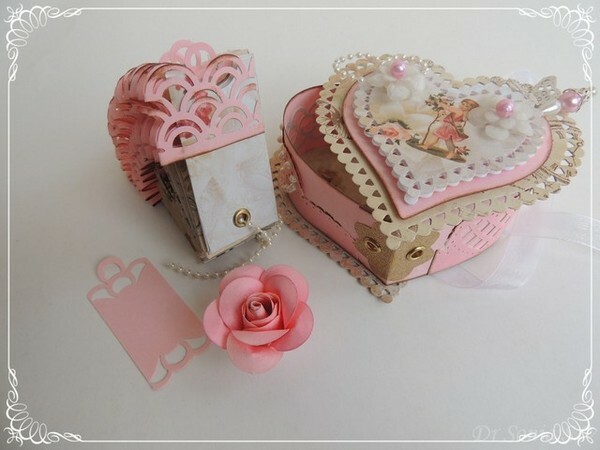 I was fascinated when I saw this box by the Gentelman crafter and though he made his project in a ready made heart box ,I made mine from scratch using just card stock, glue and scissors in yet another recycling craft! 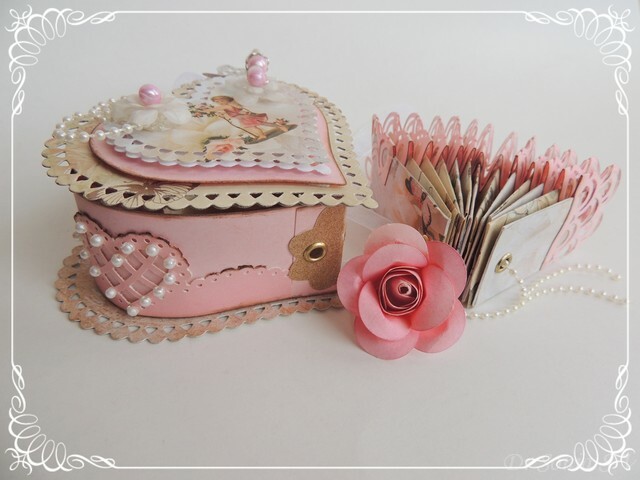 Here is the tutorial link: heart shaped box tutorial. Apart from the recycling, this creation is not my usual style..so please do tell me how you like it. 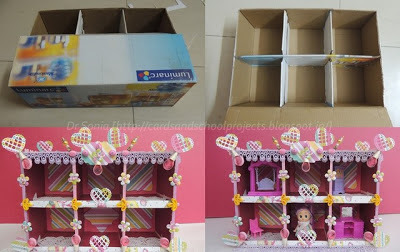 This box was also chosen as Top 2 at Use it Tuesday theme "Fasteners-buttons/brads or eyelets"
Recycling crafts are a passion of mine more so because it gets a lot of appreciation from my hubby to whom most of my other projects merit just a "hmm"! I used pattern paper to line the compartments of the box in this recycling craft. 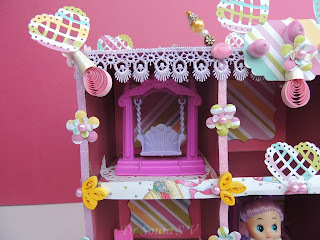 My daughter claimed the shadow box as her Valentine present and promptly upgraded it into a doll house. 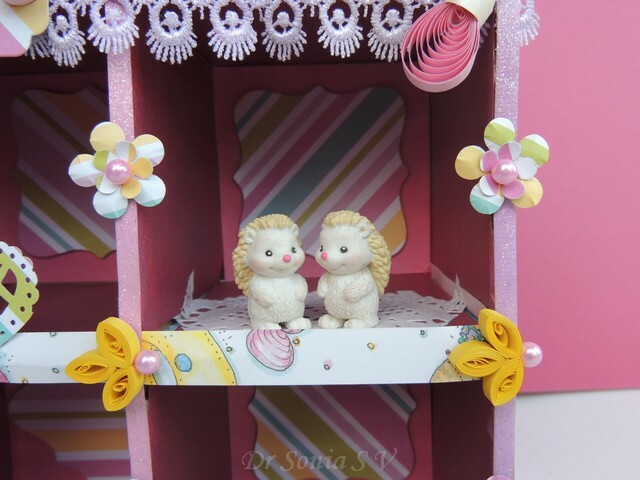 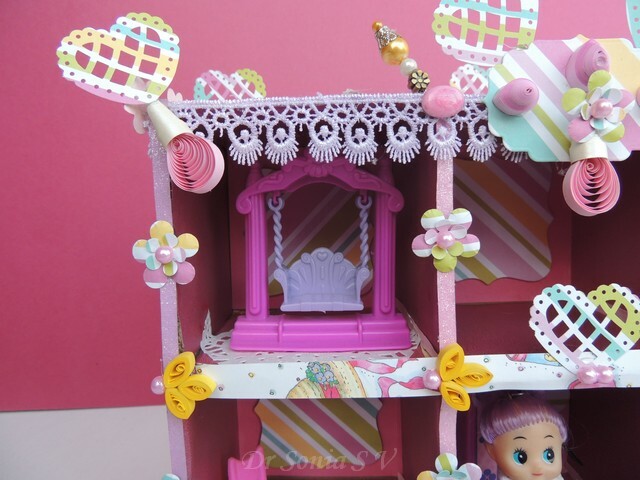 We added a romantic pair of hedgehogs in one "room" of her cardboard doll house! Most of you may be knowing how to make one..but I made my first pin only recently and was surprised how easy it was. 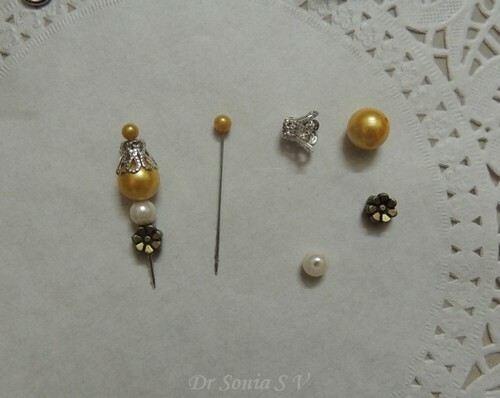 Choose a long pin the kind with a bead or crystal on one end. Add jewelry caps and beads and the trick here it to secure them firmly with a dot of hot glue so that the beads dont fall off! 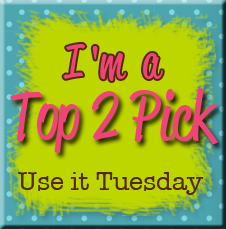 If you are on pinterest you can pin the collage for easy reference later on.